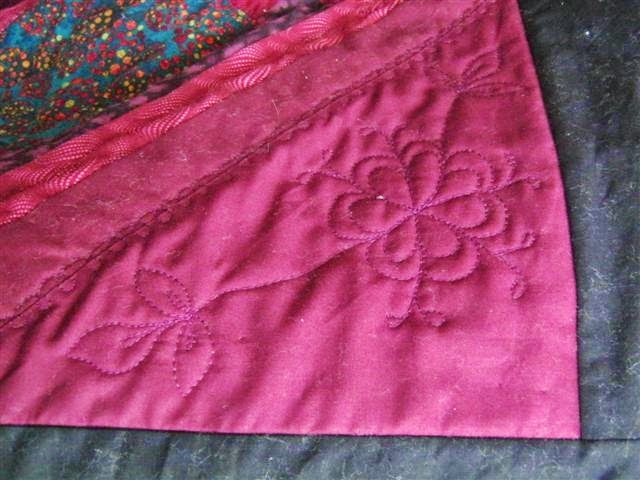 I've decided on a design for the corner triangles of the Warm and Fuzzy quilt. 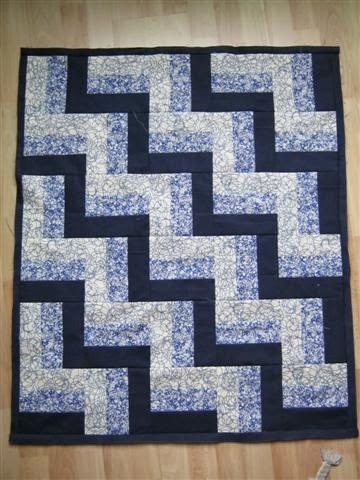 I've also finished the binding and did a single line of hand-quilting in the middle of the black border (it's a bit wobbly at times, but I did it spontaneously while visiting my grandma in hospital, so it's connected to a personal story for me and not a flaw). With all that, I now declare this quilt... finished! 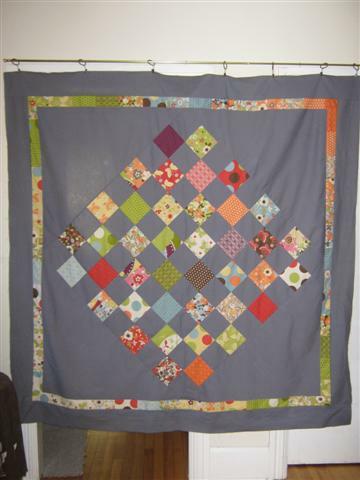 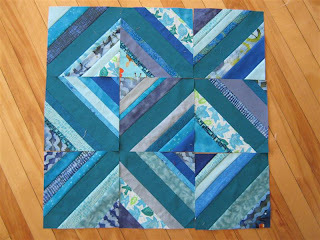 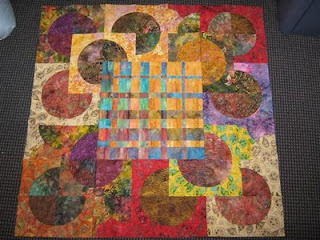 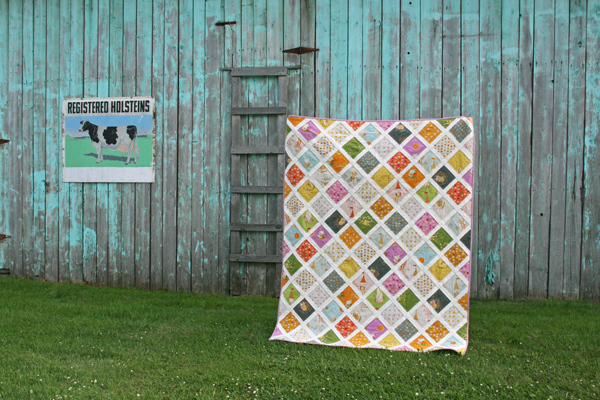 And once the sun comes out, I'll take some photos of the entire quilt!